Sonia is an experienced advocate with over 20 years as a legal practitioner. She practises primarily in civil and commercial law with an emphasis in property (including native title and Aboriginal land matters), administrative and public law, town planning, general contract law, negligence and personal injury. Sonia has particular interests in statutory interpretation and constitutional law. Sonia has substantial expertise in Aboriginal land and native title matters, having worked in the Aboriginal Land Division of the NT Department of Justice (and its predecessor) from 1997 – 2002. During that time, she acted as instructing solicitor in a number of the Federal and High Court cases which defined native title law in Australia, including Fejo, Yarmirr and WA v Ward. Sonia moved to the Solicitor-General’s Chambers in 2002 and was formally appointed Crown Counsel for the Northern Territory in June 2005. During that time she gained expertise in constitutional law, Aboriginal land and native title, administrative and public law, and statutory interpretation. In this role, Sonia provided high level advice to the Northern Territory Government and its agencies, and various independent statutory office holders on a broad range of matters. 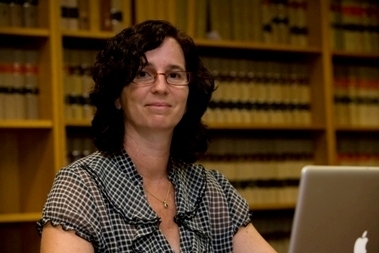 She acted as counsel in important native title matters (including the Larrakia native title claim over Darwin, the Blue Mud Bay native title claim and the Newcastle Waters native title claim) and other major litigation (including the challenge to the McArthur River Mine open-cut mining authorisation). She has also acted as junior counsel (mostly to the Solicitor-General) in some 20 matters in the High Court of Australia, including Forge v ASIC (2006) 228 CLR 45, New South Wales v Commonwealth (WorkChoices) (2006) 229 CLR 1, AG (NT) v Chaffey (2007) 231 CLR 651, Gypsy Jokers Motorcycle Club Inc v WA (2008) 234 CLR 532, Amoonguna Community Inc v Northern Territory  HCA Trans 254, Wurridjal v Commonwealth (2009) 237 CLR 309, Bakewell v DPP (NT) (2009) 238 CLR 287, Totani v South Australia (2010), AG (NT) v Emmerson (2014) 88 ALJR 522 and in the 2010 Commonwealth Inquiry into the Montara Oil Spill. In addition, she has appeared in the High Court as sole counsel in a number of matters. Sonia has appeared as counsel assisting or acted as chair in 10 inquiry hearings of the Teacher Registration Board and Agents Licensing Board. Sonia joined William Forster Chambers in February 2011 and was appointed Senior Counsel in September 2015. In June 2016 Sonia was appointed as the first female Northern Territory Solicitor-General.